What happens when your dog gets older? Just like people, your dog will change as they get older. Some of these changes will be obvious and will show physically and temperamentally, while other changes will be on a physiological level and affect your dog’s biochemistry. This is a natural process that will affect different dogs in different ways and at differing speeds. For some dogs the ageing process will be slow and occur over a long period of time and for others they will go from being fit and energetic to mellowing down in a short period of time. Usually, although no always, larger dogs such as Standard Groodles will have a more rapid progression through the ageing process than their smaller counterparts such as Moodles. While changes to the health of your older dog should be noted and reported to your veterinarian in order to tackle any issues early, there are some classic changes that are likely to take place. Many dogs will be less energetic as they age and this can be a relief to owners with very energetic dogs that notice a significant slow down in their pet. This slow down is a normal part of the process but you should watchout for any signs of arthritis in your older dog such as joint pain when moving and especially so in older dogs as they move up and down. If your older dog is diagnosed with arthritis, there are many different medications and diet changes to help ease the pain and discomfort of this condition. 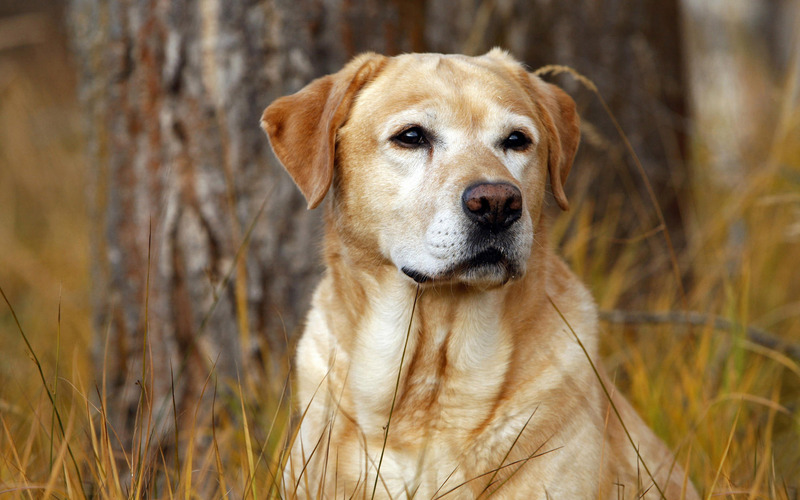 Hearing and vision loss are common in the geriatric dog and both conditions can be managed. Hearing loss is considered to be the easiest to manage but care should be taken not to startle dogs that cannot hear you approaching them as well as to protect them from dangers they cannot hear coming such as traffic. Vision loss can take a number of forms in the older dog and you may notice a bluish tinge in the eyes of your dog. This is a normal effect of aging and is called lenticular sclerosis and is different to cataracts which will be noticeable with the pupils of the eye having a white and opaque appearance. With some extra care your older dog will still enjoy life even with reduced hearing and/or vision. Over the course of your dog’s life they will accumulate tartar and tooth decay. By providing your dog with bones to chew on throughout their life, you can reduce the onset of severe dental disease as they get older. However, if your dog does display pain or discomfort in their mouth, they need to be taken to your vet to be checked for dental disease. Severity and cost can be greatly reduced if your dog is treated early. While ageing is a natural and unavoidable process in your dog, a little extra care and help from you will go a long way to ease the process for your older dog. Do you have and older dog? Let us and other dog owners know all about them by commenting below! This entry was posted in General and tagged animals, Groodle, Labrador, Moodle, older dog by designerdoginfo. Bookmark the permalink.